Overclocking legend Ian "8Pack" Parry is presenting the next generation of his top-of-the-range series of PCs at Computex 2018. The "8Pack Polaris MK2" is a premium system that is overclocked to the very limit and equipped with a custom water cooling loop and extreme high-end hardware. Every Polaris MK2 is built with specially selected components by 8Pack himself, tested and then undergoes a series of torturous benchmark tests. The result is an absolute performance beast capable of meeting any demand placed upon it while being guaranteed to overclocking like no other. The 8Pack Polaris MK2 Overclocked PC - Maximum Performance! To create the 8Pack Polaris MK2, Ian Parry used the high-end ASUS Rampage VI Extreme motherboard based on Intel's X299 chipset as the foundation for this PC. From dozens of potential Skylake-X processors, 8Pack picks the very best and overclocks the Core i9-7920X to at least 4.7 GHz - perhaps even higher as 8Pack always pushes CPUs to the limits of their capabilities. This also holds true for the two powerful NVIDIA GeForce GTX 1080 Ti graphics cards in 2-way-SLI the PC comes with, each of which offer 11 GB GDDR5X of VRAM to support the very highest multi-monitor resolutions (far in excess of Full HD) and even extremely demanding PC games in buttery smooth Ultra settings. The CPU and VGAs used in the build are capable of achieving their very highest possible overclocks without having to worry about high temperatures, this is because 8Pack equips the Polaris MK2 system with two independent water cooling loops which bring massive reserves of cooling to the table so as to prevent the hardware from even breaking a sweat. 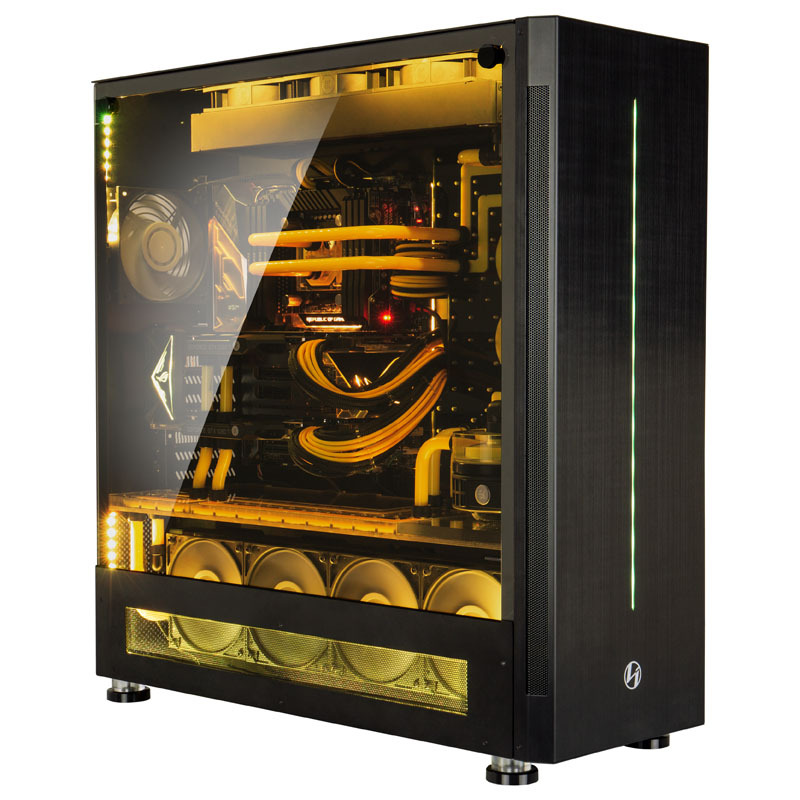 The perfect case for such a powerful water-cooled PC is provided by Lian Li and 8Pack also provides additional accessories to round out the package provided by this veritable supercomputer. 64 GB of memory from Team Group's 8Pack Edition series is clocked at 3200 MHz, and two 1 TB SSDs from Samsung complete the ultimate gaming PC known as the Polaris MK2.